Oil prices fell early on Monday (August 29) as output from Iraq rose and as Iran said it would only cooperate in upcoming producer talks to freeze output if fellow exporters recognised its right to fully regain market share. International Brent crude oil futures LCOc1 were trading at $49.54 per barrel at 00.43 GMT, down 38 cents from their previous close. 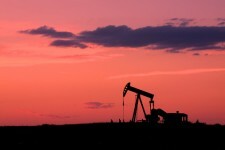 U.S. West Texas Intermediate (WTI) crude futures were down 43 cents at $47.21 a barrel. Traders said the price falls were a result of climbing output from the Middle East, where oil exports from Iraq’s southern ports have averaged 3.205 million barrels per day (bpd) in August, exceeding the average level seen in July, according to two officials from state-run South Oil Company said. Exports in July averaged 3.202 million bpd. Also, Iran said late last week that it would only cooperate in upcoming producer talks in September if other exporters recognised Tehran’s right to regain market share lost during international sanctions that were only lifted in January this year. Analysts said that disagreements within the Organization of the Petroleum Exporting Countries (OPEC), and especially its key members Saudi Arabia and Iran, meant few expected a significant impact on global output from the upcoming talks. “The market is increasingly likely to discount the outcome of the event, given, even in the instance of a freeze being agreed, compliance will be an issue,” Barclays said. Despite this, the British bank said that it saw “incoming oil market data (both demand and supply) as a source for price strength in Q4″. » Register with commodity broker eToro today and trade in commodities such as gold and oil straight from your computer or mobile phone. You can also read more of our extensive independent commodity broker reviews here.